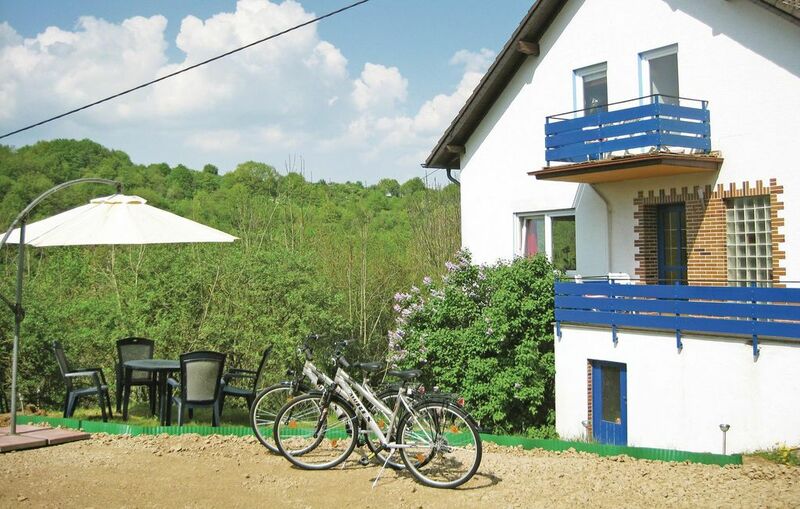 This apartment is located in the hills of the southern Eifel, on the outskirts of the village of Bettingen. It is located on a cul-de-sac, so your children can play safely outdoors. The living space is spread over the ground floor and the first floor. The living room, the kitchen and two bedrooms (each with private bath) are located on the ground floor. On the first floor, there are three more bedrooms, which are all equipped with a private bathroom. Each bathroom has either a bath or a spa shower. You can plan wonderful excursions to cities like Trier, Bitburg or Vianden and explore the surrounding area. You can also go on a tour of the Bitburger Brewery. Children will enjoy the water park nearby. Nature lovers can go on wonderful walks or hikes through the beautiful countryside or go by car to the famous Devil's Canyon. This accommodation is the perfect choice for spending a holiday with a group of people with varied tastes and interests. Mooi huis van alle gemakken voorzien. PRACHTIG HUIS OM MET EEN FIETSGROEP VAN 10 PERSONEN TE VERBLIJVEN EN VANDAAR MET DE RACEFIETS OF MTB TE TOEREN IN DE SUD EIFEL .